We've found your little girl's go-to, modest dress for all the social events on your family's calendar! This beautiful rose pink and cream lace dress speaks of weddings, photo shoots, and parties. 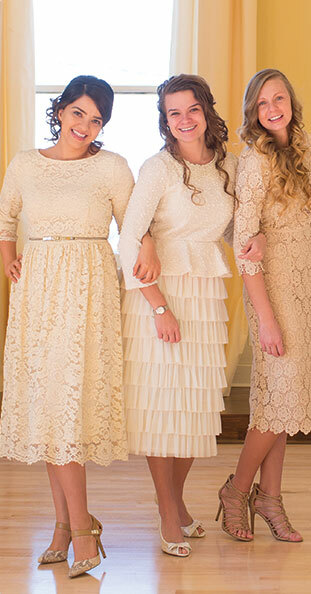 Cream lace detail at neck, sleeves, and hem is extremely classy and formal. Your little girl will treasure this vintage-inspired piece for a long time to come! Back zipper.